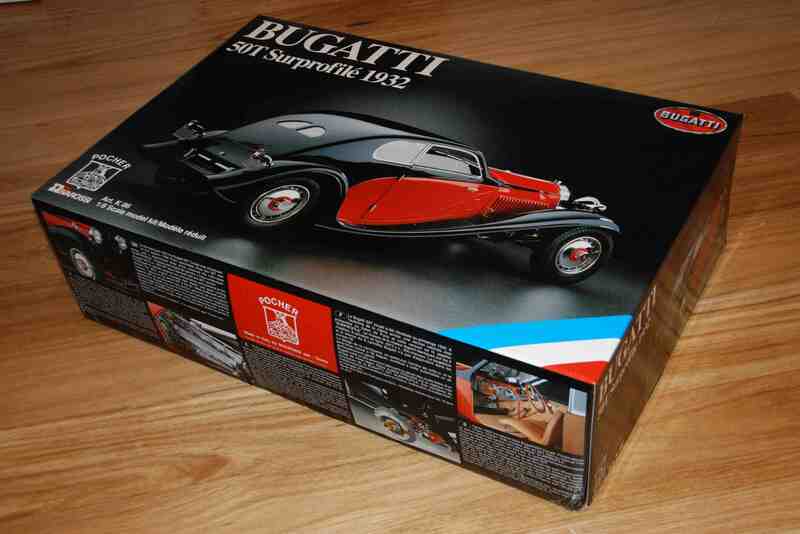 Pocher K86 1932 Bugatti 50T Surprofilé! This kit is one of the last that the Pocher company produced at the end of the 1990s. I imported this kit to Canada when I was representing the company in 2001 and 2002, just before their last bankruptcy. This kit was sold to a client in Australia who is now ready to reduce his collection. Since I have sold this model, and I know the client very well, I can assure you that it’s in perfect condition and has remained safely tucked away for the past eight years. This has always been the best quality Pocher model for builders, as well. Note that this model will be shipped directly from Australia to you. It will not make another trip to Canada and back out again, saving you all kinds of transportation costs.